Technology in medicine has grown rapidly over the last 50 years with radiology/medical imaging in the forefront. Breast imaging has recently made its own technological leap with the FDA approval of 3D mammography. Mid-Delaware Imaging is proud to be the first to offer this exciting new technology to Kent County. First some facts: A woman’s chance of developing breast cancer in her lifetime is 1 in 8. Over 2.6 million breast cancer survivors are alive in the U.S. today. 8 out of 9 women who are diagnosed with breast cancer have no family history of breast cancer. The 5 year survival rate for localized breast cancer is 98%. In 2014 alone, more than 200,000 women were diagnosed with an invasive form of breast cancer. Breast cancer risk increases with age where 2 out of 3 invasive breast cancers are found in women over 55. Despite recent controversy, the American Cancer Association still recommends screening for breast cancer begin at age 40. Since its inception, screening mammography has consisted of two dimensional imaging (2D). Two images of each breast are captured for a total of 4 images. In the past, this is all the data/information we as radiologists had to try and detect breast cancer. The problem with 2D imaging is that there is often significant overlap of tissue which can obscure underlying cancer. This is where 3D mammography plays its crucial role. 3D mammography (also known as breast tomosynthesis) is a series of multiple images of each breast from top to bottom and from side to side. This allows us to examine each breast layer by layer, decreasing the challenges we face with overlapping breast tissue. The patient experience is comparable to a 2D mammogram. Clinical studies have shown that 3D mammography finds 27% more cancers overall than 2D imaging. Specifically, 3D mammography finds 40% more invasive cancers than 2D alone. The increased accuracy reduces the number of call-backs (by as much as 30%), sparing women the anxiety, inconvenience and expense of coming back for further imaging. MDI is proud to be the first facility to offer 3D mammography to our community in Kent County. Currently Medicare is reimbursing this new technology and other insurance companies will likely follow. In the meantime, we are offering 3D mammography free of charge so that our community can have access to this new technology. MDI is also the only facility in Delaware that offers double reads, where two separate radiologists review the images. Studies have shown that two radiologists reviewing mammograms can detect more cancers than a single radiologist. Lastly, one of our physicians will gladly sit down with you and go over your imaging, all you have to do is ask! You have a choice when it comes to your medical imaging. Please do not hesitate to call with any questions. “I have had imaging done at many places, however, MDI stands out as they actually treat you like a patient and not a number. I love that I can ask to speak to a radiologist and he will go over my mammogram with me and give me my results before I leave.” – Kelly M.
“I have been coming to MDI for years and remember when they were the first to introduce Digital Mammograms. Thanks to MDI for constantly raising the bar and providing our community with the newest technology like 3D mammograms.” -Jessica B.
Anush Parikh, M.D. is with Mid-Delaware Imaging in Dover, DE. 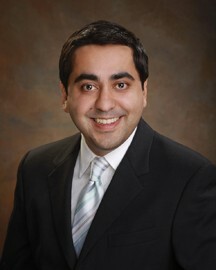 Dr. Parikh was raised in Dover and educated through the Holy Cross, Caesar Rodney and St. Andrew’s school systems. He attended New York University for undergraduate schooling and majored in Anthropology. Dr. Parikh received his M.D. at Syracuse-Upstate Medical University where he achieved the medical academic honor of Alpha Omega Alpha. He moved back to NYC where he completed his Internship at St. Vincent’s Catholic Medical Center. This was followed by a residency in Diagnostic Radiology at Beth Israel Medical Center and a mini-fellowship in cardiac/coronary CT.
← Previous Story Why Are My Teeth Wearing Away? Next Story → Should I Learn CPR?